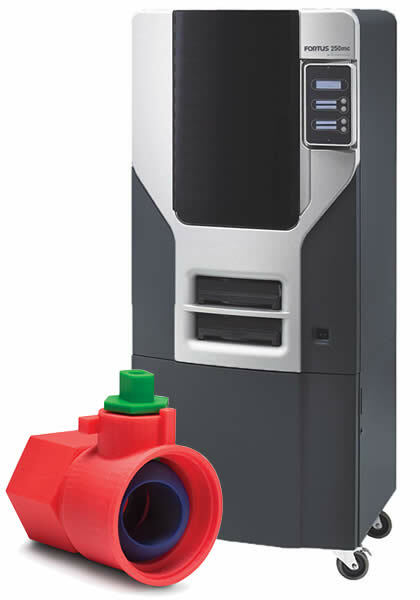 Workhorse 3D printer for engineers that require demanding flexibility to print larger-sized or many parts in an array of engineering-grade materials. Reliable, consistent high speed printing ensures less waste and unfailing throughput. 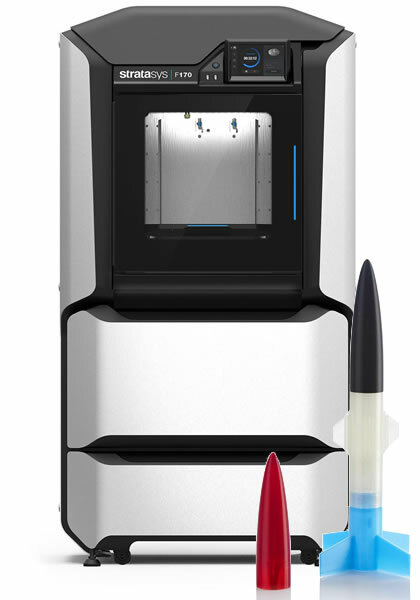 The ultimate manufacturing-grade production 3D printer, printing widest array of engineering-grade materials. Fused Deposition Modeling (FDM) Technology is a powerful Stratasys-patented additive manufacturing method. FDM builds concept models, functional prototypes and end-use parts in standard, engineering-grade and high-performance thermoplastics. It’s the only professional 3D printing technology that uses production-grade thermoplastics, so parts are unrivaled in mechanical, thermal and chemical strength. 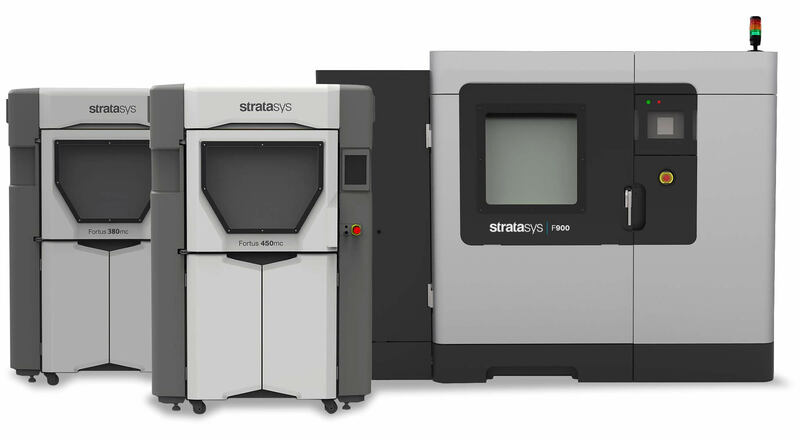 Why choose a Stratasys FDM Machine? Prove your design before going to production. 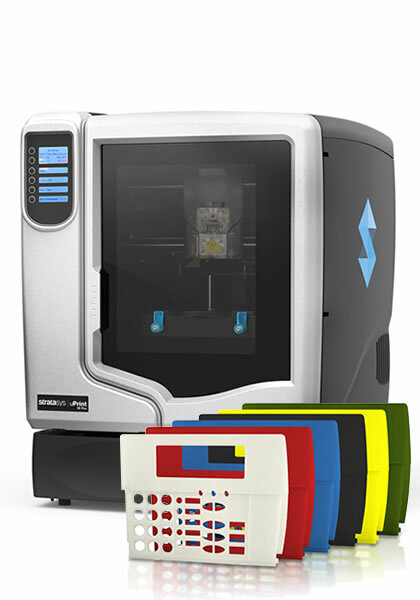 Get to market faster by printing your physical prototypes quickly in-house. You will be able to identify any product deficiencies and make improvements early in the design process when it’s least costly. Producing functional prototypes typically takes from a few hours to overnight. It will allow you to catch flaws before they become costly engineering changes. It also reduces time-to-market and maximizes product performance. Printing a low-volume production run with FDM machines can maximize sales opportunities while minimizing cost and lead time because there’s no minimum quantity requirement. Plus, part complexity doesn’t add time or cost, so production can begin as soon as the CAD files are sent to the 3D production system. The FDM systems provide a fast and accurate means of producing tooling. The efficiency of the FDM 3D Printing process makes it practical to optimize tooling design. Print jigs, fixtures, gauges, patterns, molds, and dies. With FDM 3D Printing you have the opportunity to create tooling and custom fixtures giving you the flexibility to embrace more opportunities, act faster and shrink the cost and risk associated with traditional production. Instead of spending time and money to machine, fabricate, mold or cast your tools you can easily print them using a variety of high performance materials. When you purchase a Stratasys 3D printer from Javelin, our service contracts give you predictable maintenance costs and simplified purchasing cycles for spare parts, service and consumables/material.